Whether you need someone to come by and feed your cat while you're away, or you're looking for a cat sitter that will let your cat stay at their home overnight, finding a quality cat sitter that you can trust in Glendale can be a difficult task. That's where we come in. We've spent hours researching to find all of the best cat sitters in Glendale to help you understand who can help look after your feline friend(s) when you're not around. *If you're a cat sitter in Glendale and want to be added to this page, please click here. *If you see any updates needed on this page, please report them here. Has This Sitter Been Cat Kingpin Certified? ​Yes What's This? How They Describe Themselves: We offer in-home pet care services that specialize in personal attention for your pets and house sitting when you are away for vacation, work or play. Has This Sitter Been Cat Kingpin Certified? No What's This? How They Describe Themselves: We provide exceptional care for pets when their owners can’t be there to do so themselves. We are much more then just a professional pet sitting company. Our focus is to maintain a loving, stress-free environment for the animals in our care, as well as provide peace of mind to their owners. How They Describe Themselves: All of our pet sitters are professionals who are bonded and insured. We are composed of family members who are professional pet sitters as well as our friends & even our clients who are professional pet sitters. All of our sitters have passed extensive background checks. How They Describe Themselves: My role as your trusted pet sitter is being your pet's valued concierge! I spend quality time with your animal family in your home. Whether for an hour, a day or an overnight stay, I am there to look out for your pet's best interests. I love, nurture and care for your pet like he or she is my own. ​Dream Pet Care, where your pet's dreams become a reality! How They Describe Themselves: We do offer pet boarding services at the Glendale Animal Hospital. We also house cats in our secluded upstairs offices, far away from those noisy dogs! Our facilities are clean, comfortable and affordable. ​Don't see a sitter that you like here? That's okay. Sometimes if you only have a few in your area, you may not be pleased with your options. If this describes you, we recommend that you look at additional cat sitters to see if you can find a better one. 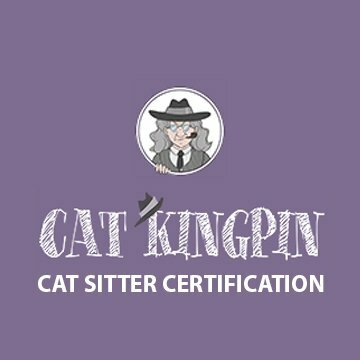 What is the Cat Kingpin Certification? 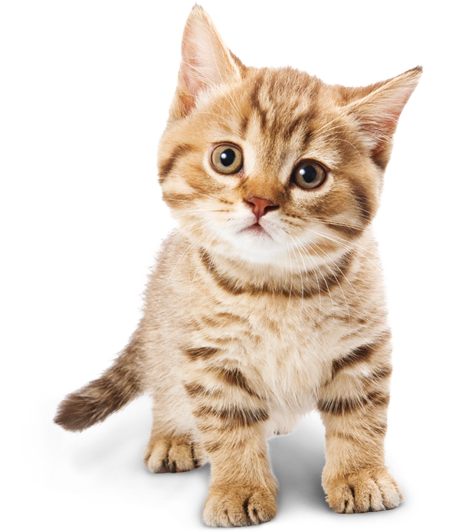 More information for ​cat sitters looking to become certified can be found here. What is the ​PUPS Association? ​Professional United Pet Sitters (P.U.P.S.) is a community of over 11,000 experienced pet sitting professionals, new pet sitting businesses, and members interested in starting their own pet sitting services. We take pride on fostering an environment of collaboration, professionalism, support, and sharing through an online users forum as well as a vast library of pet sitting & dog walking resources that include business start up guides, pet sitting contracts & forms, business analysis workbooks, guides, faqs created by member pet sitters, and much more. ​Pet Sitters Associates has been owned and operated by Jake and Kelly VandenBush since it started in 1998. Our philosophy has always been to help individuals throughout the United States start up their pet care businesses at the most affordable rates possible. Pet Sitters Associates proudly offers membership benefits that include pet business insurance administered by RPS Eau Claire and underwritten by an AM Best rated: A (Excellent) Insurance Company. ​Pet Sitters International (PSI) is the world’s largest educational association for professional pet sitters. PSI is dedicated to educating professional pet sitters and promoting, supporting and recognizing excellence in pet sitting. Since 1994, the association has educated and supported thousands of animal lovers and entrepreneurs who have a desire to start and grow successful pet-sitting businesses and turn their passion into profit.